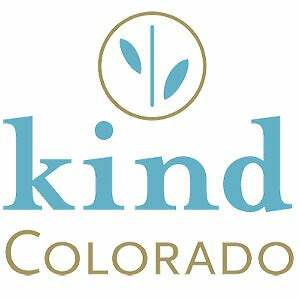 The team at kindColorado says it develops pathways for cannabis businesses to be a community asset, with a goal of inspiring the cannabis industry to not only engage in a Cannabis Social Responsibility program, but also to champion community engagement as best business practice. Often times, cannabis-businesses owners will tell us that no one ever asks them what they care about, what their values are, and what legacy they want to leave behind. This is compounded by pervasive misperceptions that cannabis-businesses owners are solely profit-driven, have an abundance of excess capital, and that they need a place to “clean” their “dirty” money. But even in spite of a heavy tax burden, negative stereotypes, and untrue assumptions, business owners are rising to support their neighbors, increase equity and diversity within their sector, and create powerful models for economic, social and political for change. We’ve never seen an economic driver for the type of change we’d like to see in the world--political, social, and economic. For the first time in our lifetime, business growth can be directly tied to access to medicine, criminal justice reform, enhanced community health, and an undoing of the watershed of negative consequences from the war on drugs. So, for the past three years, we have built, refined, and trademarked the Cannabis Social Responsibility framework, a platform that learns from traditional corporate social responsibility but respects the deep history and integrates the special nuances of an emerging, fast-paced sector. How to stay relevant in an ever-changing market and how to educate the industry on the business-case for doing good. It’s been a challenge to make the case for being a values-driven business, despite decades-old data from other sectors, when cannabis business owners are fighting to stay open and create profit. Additionally, as we work to encourage businesses to utilize their time, talent, and treasure for community benefit, we’ve also had to re-align our own value proposition while we wait for the market to evolve and for misperceptions to change. So many people’s stories, their passions, their commitment to the cannabis-cause, to social justice, to access to medicine--they are completely inspiring and absolutely our favorite part of this industry. It’s also terrifying, because we all started from the same place--building something from nothing. There is so much on the line and yet in spite of all the unsureness, the battle for legitimacy, and the ongoing campaign to change hearts and minds, we encounter grace, gratitude, and grit, unlike any other industry we’ve encountered. The potential for an industry to grow without harm to others or the planet. Also, the enormous opportunities to do good, treat people well, share growth, and benefit with communities, and a once-in-a lifetime chance for businesses to positively influence systems that impact the least among us. We believe that purpose-driven cannabis social responsibility, when applied to people and the planet, will yield profit not only for the business, but also expansive benefit for communities across the country. The potential for this industry to do its very best, and for real change, not charity, to become part of best business practice.